Tis the season for fun Holiday looks! Today I'm showing off what I'll be rocking for the holidays with the fam-bam when I'm home in Chicago. You know I already have a special place in my heart for Camilyn Beth (see my go-go dress at the derby here) and this dress did not disappoint! I love how classic this dress is and how perfect it is for all occasions. 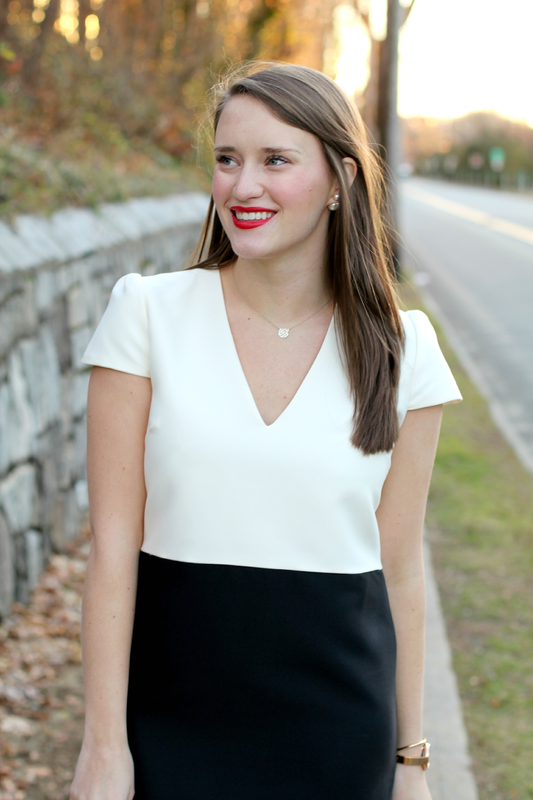 Just add a red lip to this little black and white number and you'll have yourself a party. Did you see those bows?! I think if spirit animals were really spirit things, my thing would be a bow. Is that weird? Anyway… I hope that if you're looking for an ah-mazing holiday dress, you go to Camilyn Beth. You'll love her just as much as I do! What a gorgeous dress! 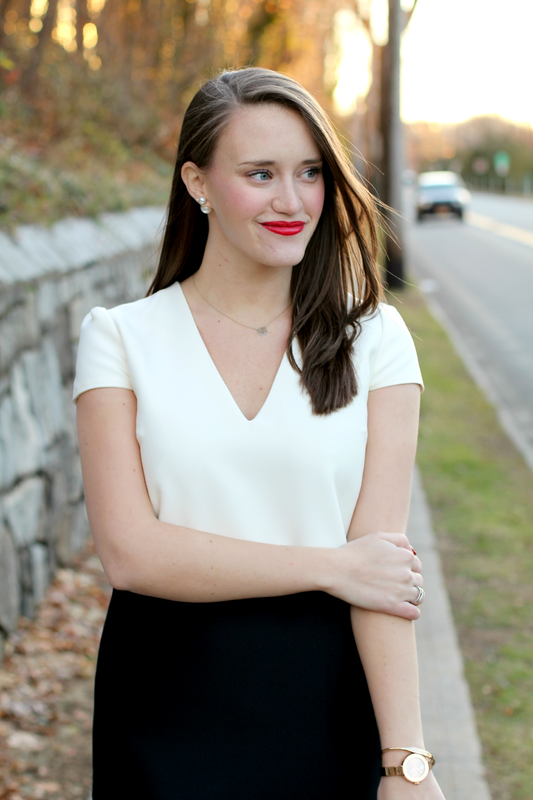 Love black and white for the holidays! You. Are. Stunning. Loving the bow details! This dress is so pretty! It's the perfect combo of classy and sassy! Love the classic look on the front and the playful addition on the back! I love this dress! A much classier version of a mohawk - classic in the front and unique in the back! Perfect for all of the holiday parties this season!